Oil pastels combine the benefits of drawing with the finished looks of painting. Colors applied to surface provide immediate results, allowing the artist to make quick decisions and create a painterly image in a short amount of time. Oil pastels can be applied to a variety of surfaces including drawing papers, textured papers, masonite, and canvas. This makes oil pastels suitable for quick sketches as well as finished "paintings". To use oil pastels to their full potential, layering should take place. Each layer of color added to the surface provides an opportunity for the colors to mix and become richer. When applied heavily, oil pastels can cover layers. This allows the artist to "push and pull" values and color temperatures to find the right tonalities for the subject. Naturally, when colors are layered, mixing occurs. When colors are mixed, natural colors are created which produces realistic tones. The following video tutorial is excerpts from two 1 hour recorded Live Lessons on drawing with oil pastels. To learn more about oil pastels and see more tutorials click here. 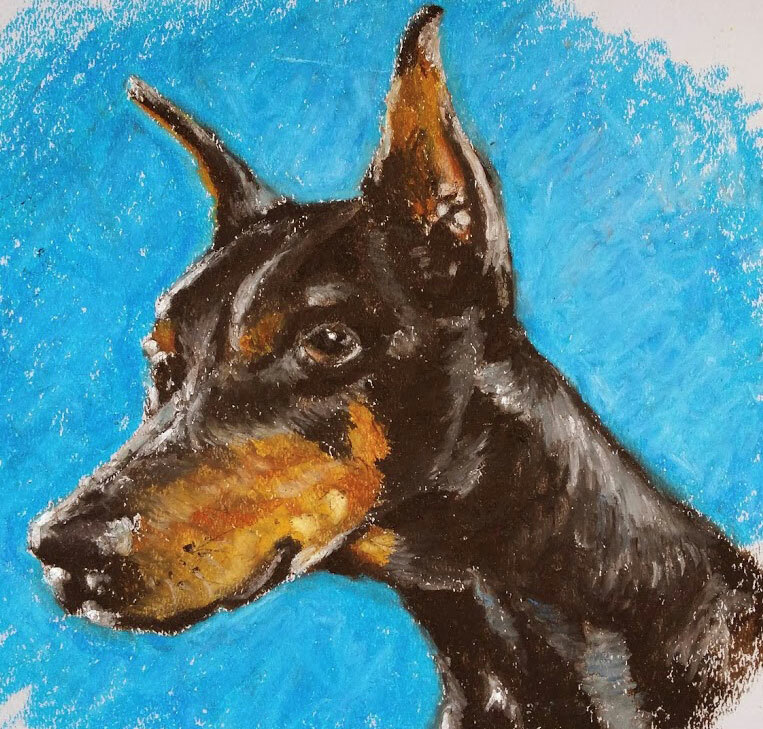 In this tutorial, a portrait of a dog is completed using oil pastels. The drawing is approached in a similar manner as traditional painting. An "underpainting" is created first to establish values using a dark brown. Local colors are layered on top of the values to build up the depth and realism. If the same subject was approached using oil paints, the approach would be similar. In this demonstration, the oil pastels are used without a solvent. Some artists choose to use a solvent such as mineral spirits to move the material on the surface with a brush. To accomplish a similar affect, a colorless blender can be used to move areas of pigment. A colorless blender is used in the video below. In this example, gray drawing paper is used. The tooth, or texture of the paper is smooth. Some pastel artists prefer textured papers, because they hold more of the pastel on the surface, providing more layering.